While the majority of commercial producers churn out safe revivals, the presentation of a challenging Victorian premiere falls, once again, to the independent theatre sector. 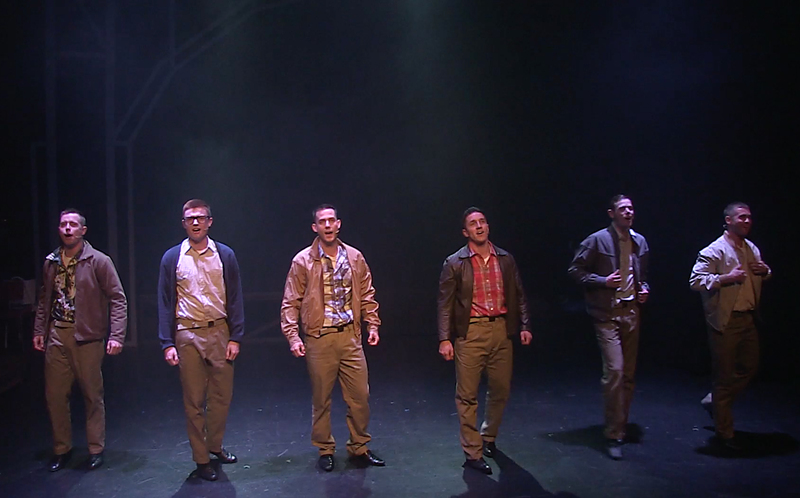 Geelong-based company Doorstep Arts have taken the initiative to present this premiere season of Dogfight. A touching love story blossoms from a very unlikely beginning as hardened marine Eddie Birdlace takes sensitive waitress Rose to a “dogfight” on the eve of his troop’s deployment to Vietnam. The loss of innocence for the central characters is given an undercurrent of significance by setting their last night of freedom on November 21, 1963, the night before America lost its innocence. Trained to be unswervingly loyal, obedient and fearless, the desensitized marines think nothing of amusing themselves with a contest to see who bring the ugliest date to their final party. The fact that the men’s behaviour is uglier than any date they could potentially find is abundantly clear. Eddie shows signs of regret but is unable to prevent Rose being devastated at the cruel deception. The heart of the story comes in act two as the pair makes a deeper connection. Eddie’s attention makes Rose feel more attractive and Rose’s gentle coaxing soften Eddie’s hardened edges. The score, by rising talents Benj Pasek and Justin Paul, is pleasantly reminiscent of the gentler songs of Spring Awakening. Musical director Trevor Jones leads a band of five musicians on side stage. Sound design is by Marcello Lo Ricco, which means that vocals are perfectly balanced with the accompaniment. 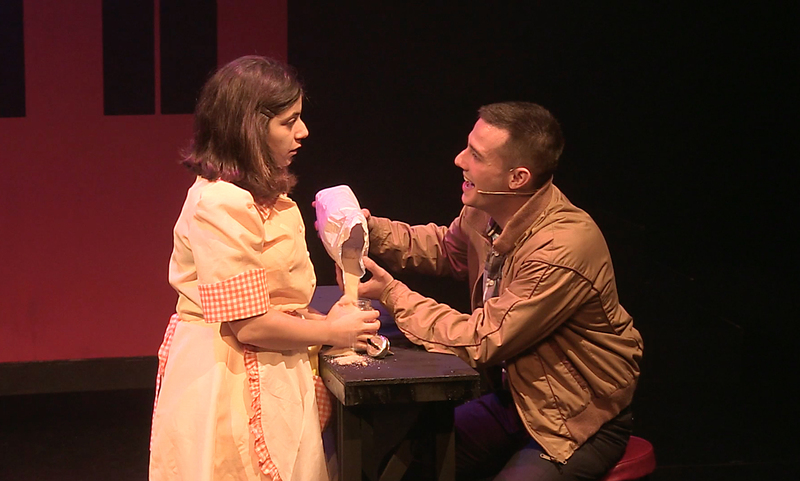 While music theatre generally looks to romantic comedy as source material, this dramatic musical is based on 1991 film Dogfight, and Peter Duchan’s book does not shy from presenting confronting behaviour and brutal tragedy. Director Darilyn Raymondo brings out the intensity and focus required for the cast to convey the brisk but heavy storytelling. The commitment of the cast achieves a great deal with minimal sets and props. Riannon Irving’s costume design for the female cast is quite suitable to the period, with some witty looks for the “ugly” women. The men’s uniforms are quite authentic but their civilian wear is not well aligned with the period. Overall, the production values related to sets and costumes are not quite at the standard seen in recent independent boutique musicals, but if resources are limited, the choice to focus on cast and musicians is a wise one. Performances from the ensemble cast of 11 are solid, although some harmonies prove to be quite challenging. Alexander Woodward has a masculine presence as Eddie, and generally portrays the young marine’s inner conflict quite well. Olivia Charamlambous is absolutely charming as Rose, singing sweetly and frequently flashing a disarming smile. Zoy Frangos works with unflinching power as Boland, presenting the character as a driven young man who completely believes that he way treats others is right and necessary. 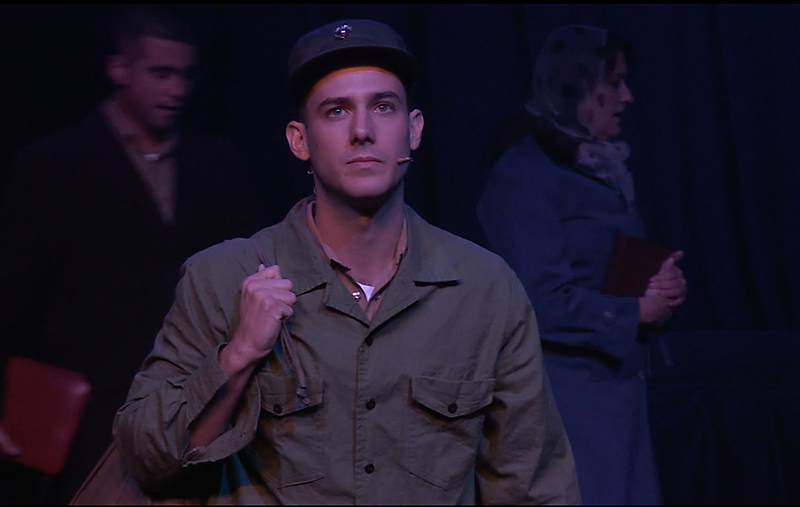 Joel Granger as Bernstein, the third “Bee” of the three core friends, shows how young and naïve men were when being shipped off to war in a foreign land. The company is blessed with the presence of highly experienced actress Sally Bourne, who lends strong support. 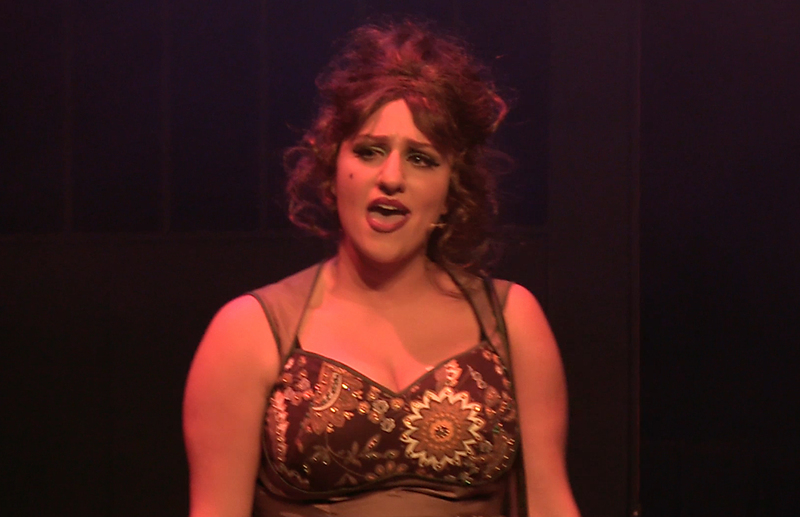 Talented and versatile performer Jaclyn DeVincentis creates two distinct and memorable characters as Marcy and Peggy. Tim Carney performs a range of cameo roles with flair. James Coley, Daniel Cosgrove, Jack Van Staveren and Hannah McInerney round out the supporting cast. The musical landscape in Melbourne is all the richer for the presence of independent productions. 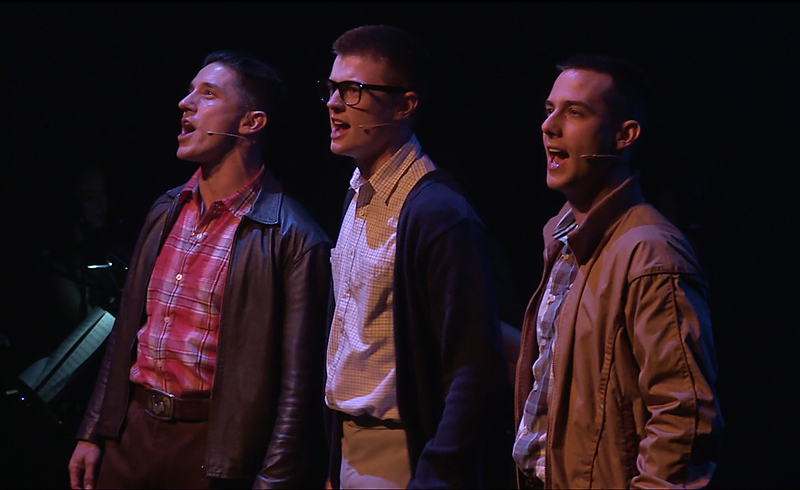 The Victorian premiere season of Dogfight is sure to attract the interest of music theatre lovers who like to stay up to date with new musicals. 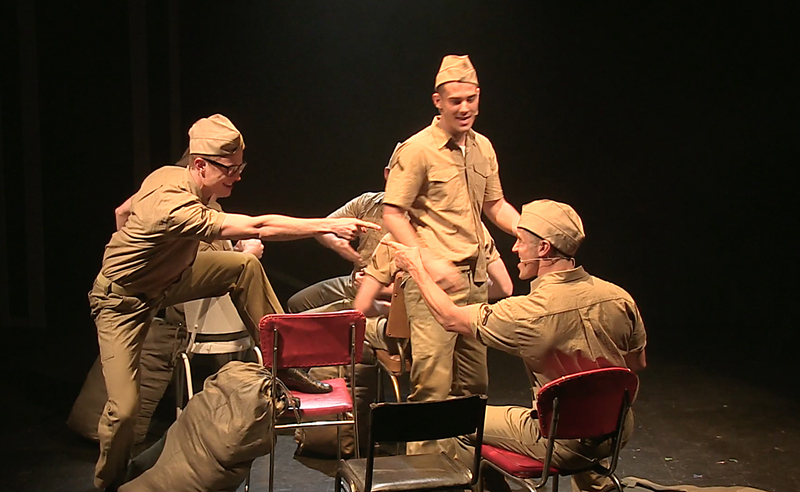 Dogfight by Doorstep Arts was reviewed 5pm Sunday 8 May 2016 at Chapel off Chapel, Melbourne where it plays until 15 May 2016. Superb 1991 film…how far it has come!